5 July 2016. Engineers at Massachusetts Institute of Technology designed a process using genetic material in nanoscale particles for vaccines that in lab mice protect against dangerous diseases with a single dose. A report from the team in the lab of biology and engineering professor Daniel Anderson appears this week in Proceedings of the National Academy of Sciences (paid subscription required). Researchers led by postdoctoral fellows Jasdave Chahal and Omar Khan, first authors of the paper, are seeking to overcome the long lead times needed to produce vaccines, as well as provide a more predictable and efficient development process. Many vaccines today use inactivated or weakened microbes, or proteins generated by pathogens that require additional compounds called adjuvants to boost their immune response. While vaccines, like any drugs, need careful testing with human clinical trials, the initial discovery tasks can add many months and years to an already extended process. Chahal, Khan, and colleagues seek to improve the process for discovering new types of vaccines with messenger RNA as the active ingredients. Messenger RNA is genetic material related and complementary to DNA used by cells to produce the amino acids in proteins. While genetic technologies are available for making vaccines, they sometimes use delivery mechanisms like benign viruses, which while not causing disease, can generate unwanted immune responses on their own. The MIT team developed a set of techniques for quickly producing vaccines formulated in nanoscale particles containing messenger RNA molecules. These molecules are configured into star-shaped branches called dendrimers that can be concentrated into particles about 150 nanometers in diameter; 1 nanometer equals 1 billionth of a meter. This size is about the same as many viruses, making it possible for the nanoparticles to target the same surface proteins that attract viruses. The techniques encode messenger RNA molecules to address specific disease-causing proteins that replicate when they reach the target, where they generate antibodies or produce pathogen-fighting T-cells in the immune system. 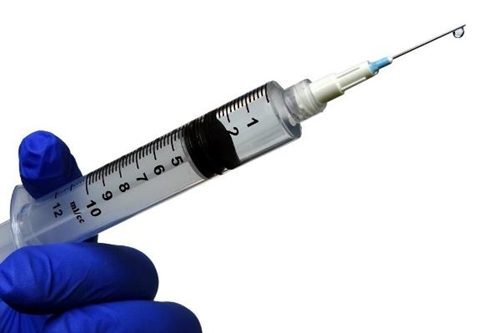 The researchers were able to use these techniques to design and produce quantities of individual vaccines for testing against specific pathogens, each in about 7 days. The team produced with this process protective vaccines against H1N1 influenza or swine flu, Ebola, and Toxoplasma gondii parasites, single-cell organisms causing toxoplasmosis, a type of food poisoning from undercooked or contaminated meat. Vaccines for H1N1 influenza strains are produced routinely today, while Ebola vaccines are still in clinical trials, and no vaccines are yet available to protect against Toxoplasma gondii. In lab tests, mice were given single doses of the vaccines in intramuscular injections, with comparable mice not injected. The mice were then given lethal doses of the pathogens. All mice receiving the H1N1 vaccine produced antibodies that protected against the virus, while the unvaccinated mice died within 7 days. For the Ebola virus, the team tested different dosage levels, and found a dose that generated protective T-cells against the virus. As with the H1N1 virus, mice not protected with vaccines died from the Ebola virus within 7 days. With Toxoplasma gondii, the researchers developed a more complex vaccine that protects against different life stages of the parasite. As with the the other pathogens, mice given the vaccine survived the lethal dose of Toxoplasma gondii, while the unvaccinated mice died with 12 days. The researchers say this was the first demonstration of a protective nanoparticle vaccine against the parasite. “This nanoformulation approach allows us to make vaccines against new diseases in only 7 days, allowing the potential to deal with sudden outbreaks or make rapid modifications and improvements,” says Anderson in an MIT statement. The university says Chahal and Khan plan to form a company to license and commercialize the technology. They also plan to extend the technology to vaccines that protect against Zika and Lyme disease.